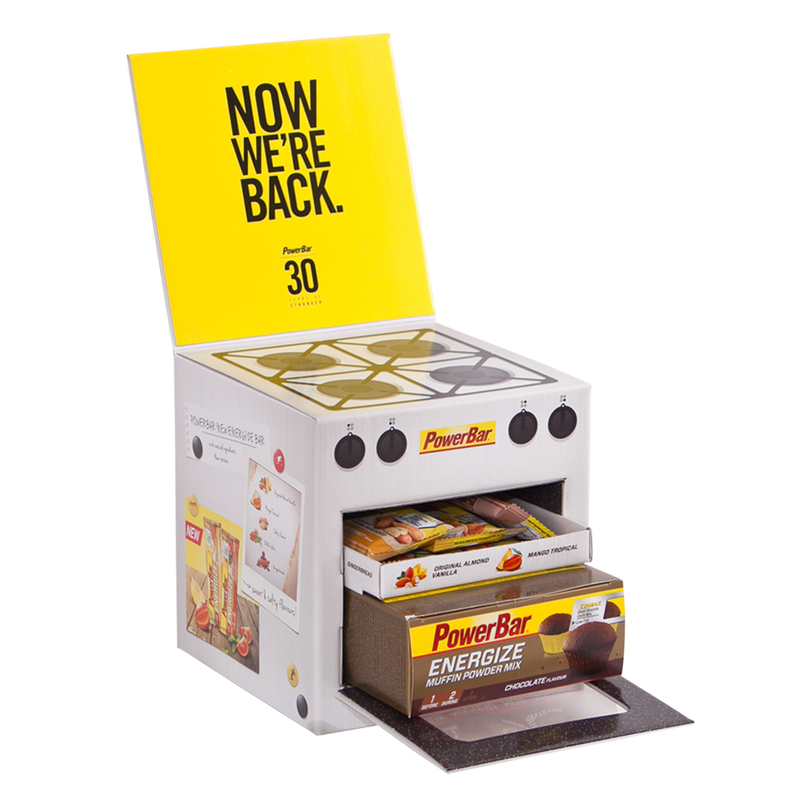 PowerBar’s promotional packaging served as a limited edition mailer for the company’s 30th anniversary, which also saw the launch of two new products. Sent out across Europe to journalists, bloggers, athletes and customers, who all served as brand ambassadors, the pack helped to build product awareness. Designed to be a mini replica of a traditional oven, complete with opening door, the pack triggered sufficient interest to kick-start a successful viral marketing campaign that generated many authentic product reviews.